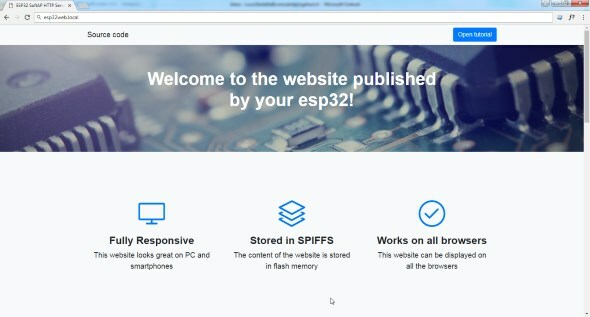 One of the most frequent questions I receive from my website’s contact form or from my Facebook page is whether it’s possible to publish an HTTP server when the esp32 chip is working in SoftAP mode, that is when it publishes its own wifi network. In previous tutorials (18 – Access Point and 20 – Webserver) I’ve already blogged about the two subjects separately, today I’ll explain how to combine them. The numbers /8, /12 e /16 are, in short form, the network mask. For example/8 means that the network 10.0.0.0/8 contains all the addresses from 10.0.0.1 to 10.255.255.254, a total of 16.777.216 different addresses. Thanks to the subnetting you can slice a network in smaller subnetworks. You can hardcode the parameters in the program, or make them configurable via menuconfig (as in this example) or Possiamo decidere di inserire i parametri hardcoded nel programma, di renderli configurabili tramite menuconfig (come nell’esempio) or even read them from a config file or from NVS variables. 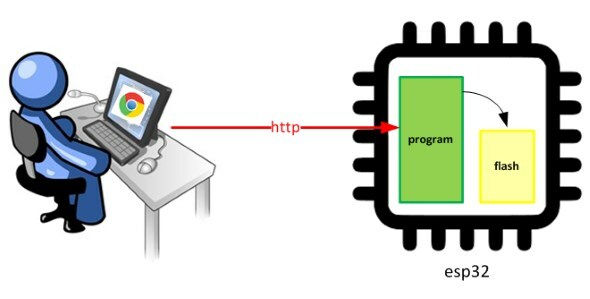 After having established the connection, your program must speak the same language (protocol) of the client; in this case the HTTP protocol used by web browsers. 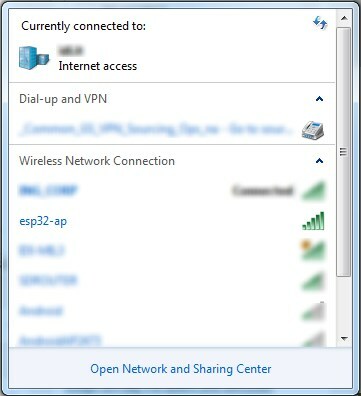 To be able to connect to the HTTP server published by the esp32 chip, a client must know the IP address (192.168.1.1) assigned to the chip. I don’t see the sample code in your Git repo. Is that normal ? Salve Luca, e complimenti per la serie di tutorial, veramente preziosi. Hai in programma una puntata su un server web con pagine dinamiche, che prevedano cioè input da parte dell’utente e visualizzazione di dati variabili (tipicamente, il valore letto da un sensore)? Grazie Luca, è esattamente quello che mi serviva! Thanks for your website, very useful! Have you tried to run an HTTP server in SoftAp + STA mode? Hi Franck… no never tried before. With SoftAP+STA esp32 creates two “interfaces”… it might be (but I have to verify in the source code) that lwIP only binds to the first one. I am still trying to figure it out. I will post here if I get an answer. Hi, i have one question. Do you think it would be possible to deliver wikipedia content (stored offine in a 128 gb sdcard) by wifi, using a cheap ESP32 in AP mode, reading data from sccard. – this would revolutionize content delivery to development countries… e.g. my friends in Tanzania, with respect to power consumption and solar driven power. – Do you know or does anybody here know a similiar approach? Hi! I think it’s possible (the webserver implementation in the framework is able to publish rich HTML content). I’m not aware of any existing projects but it seems a great idea!